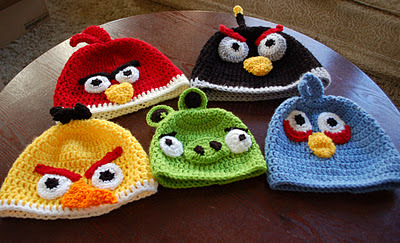 Hand Crocheted Angry Bird Toys and Beanies. These are a few of the hand crocheted items I make. आप can visit me at www.KellysCrochetedDesigns.com Angry Bird अंतरिक्ष items comming soon. Thanks for looking.. Wallpaper and background images in the ऐंग्री बर्ड्स club tagged: angry birds birds angry funny animals pigs game cute. These are a few of the hand crocheted items I make. आप can visit me at www.KellysCrochetedDesigns.com Angry Bird अंतरिक्ष items comming soon. Thanks for looking.